I have two workshops coming up this May and would love to have you join me! Both are hosted by the Wenatchee River Institute, and will take place at the beautiful Icicle Center for the Arts in Leavenworth, Washington. 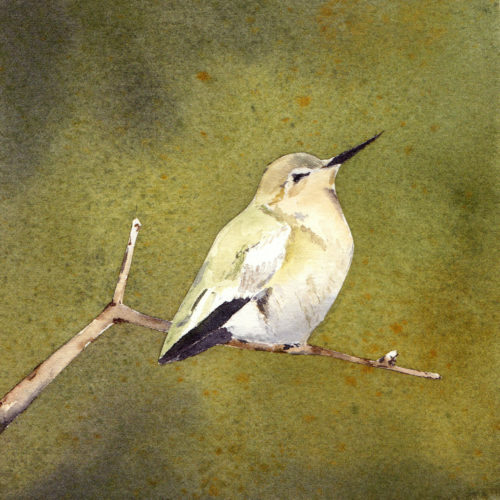 We will hone our observation skills and practice techniques for expressive ink and watercolor as we sketch and study birds. Over the course or the workshop, we will create a series of postcards. All levels welcome and lunch is provided! Friday, May 19th, 10am-3pm, course fee is $65, registration details here. With the spring landscape for inspiration, we will cover fundamental tools for ink and watercolor, and techniques for painting expressive skies, textured mountains, and colorful ﬂowers. Beginner to expert, all levels welcome with catered lunch! Saturday, May 20th, 10am-3pm, course fee is $65, registration details here. My daughter lives in Seattle. We live south of Boston, MA. I would love to take a workshop with you in Seattle area. Not sure when I’ll next be out for a visit but would like to time it when you are giving a workshop. Do you have any scheduled later than this May offering? Please put me on your mailing list. Your workshop in May sounded fascinating. I photograph birds and I watercolor from my pictures. Your kit is on my WANT list.